Operating from a small unit in South Shields with 2 CNC Milling Machines and 1 CNC Lathe. Since those early days, the company has grown steadily including a move to our large premises in Washington, in the North East of England, to offer a comprehensive range of machining processes & precision engineering, which was enhanced further in 2015 when merging with a Sliding Head Machining company within the Impress Group and becoming established as Impress Precision Machining. Impress Precision Machining have the capacity to operate 24 hours a day, 7 days a week to meet our customer demands and can accommodate anything from Development and Prototyping to large batch and mass production runs. 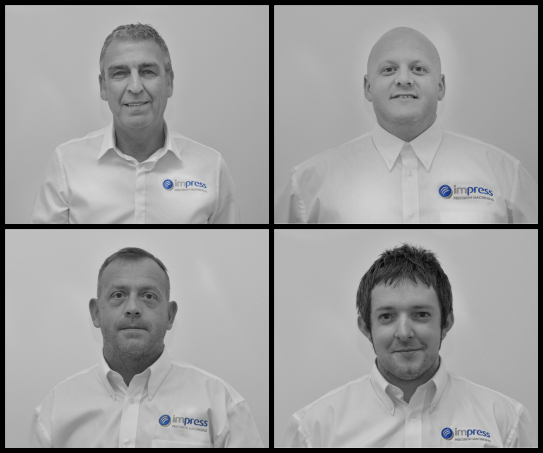 Being part of the Impress Group provides us with the opportunity to offer a complete Engineering service, with access to high-quality welding, laser cutting, press facilities and specialist coatings.